The Steel workers have entered the 2nd of their protests against the repressive regime. 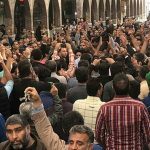 Workers from the Ahvaz National Steel Industrial Group marked their 30th day of strikes on Sunday with a march through the streets of Ahvaz. The regime has expended considerable effort trying to break the strikes through a number of measures. The head of the regime’s judiciary threatened striking workers with arrest, accusing the workers of “sedition;” suppressive forces have been dispatched to the scene or the strikes on numerous occasions, and the regime has made numerous false promises and misleading statements to the workers in order to persuade them to return to work under the same conditions they left in protest 30 days ago. 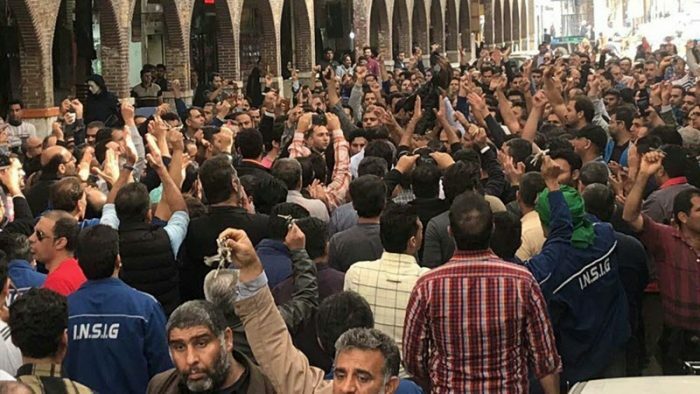 Despite these measures by the Iranian regime, the Ahvaz steelworkers have vowed to continue their strike until their demands are met. Among the workers’ goals are returning the factory to government control, establishing production lines, providing necessary equipment and parts, providing quality insurance to employees, and paying wages on time. "Workers will not live in shame"
The workers of the Haft Tappeh Sugar Factory also continued their protests on Sunday. The factory workers are protesting the regime’s unfulfilled promise to release the representative of the workers from jail. The workers have received a number of empty promises from the regime and say they will not tolerate anymore. More strikes began as the drivers of the South Drilling Company protested against unpaid wages and a poor standard of living. The workers went on strike and blocked the Ahvaz road at the airport’s T junction. The MEK and the Iranian Resistance support the striking workers and calls upon the Iranian people to join them in solitary with their strikes and protests.